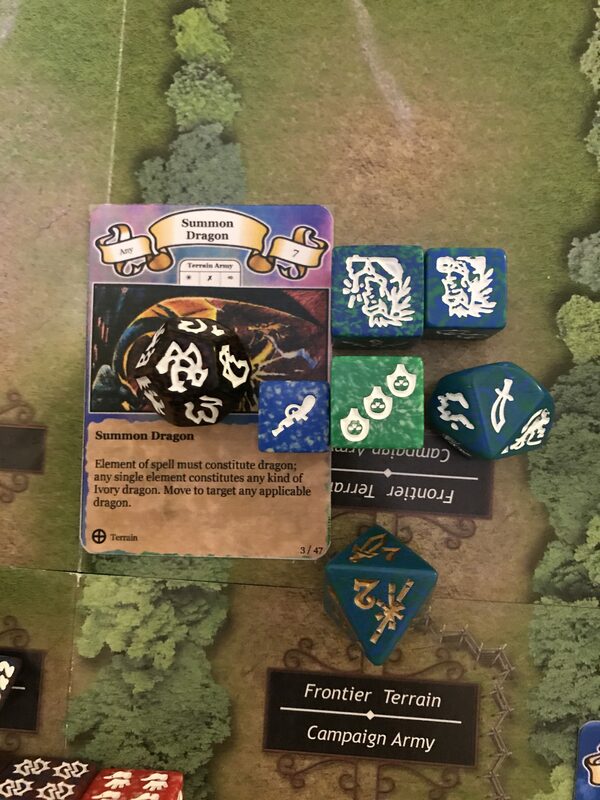 This is part 6 of an advanced level Dragon Dice battle and it is recommended that, if you have not done so already, you read the first five rounds before reading this. 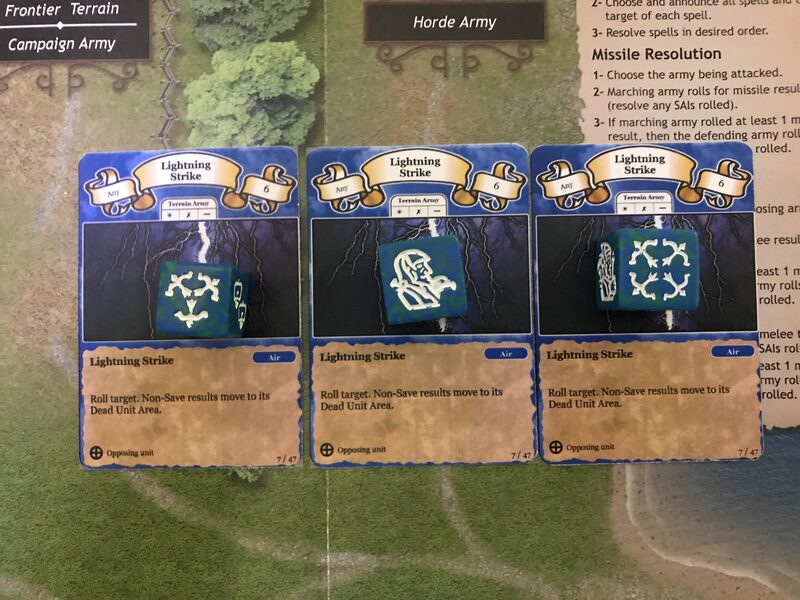 At the start of the sixth round, the Selumari force is gaining the upper hand, having a large missile force at its home terrain and on face 5. The Empyrea are relatively safe at the moment, as the missile fire cannot reach, but they need to do something to stop the enemy getting to the 8th face, the tower, from where they can be reached. The Empyrea also have a few troops in the DUA, which will be expensive to fix. Their only real option is to stay where they are and use magic. 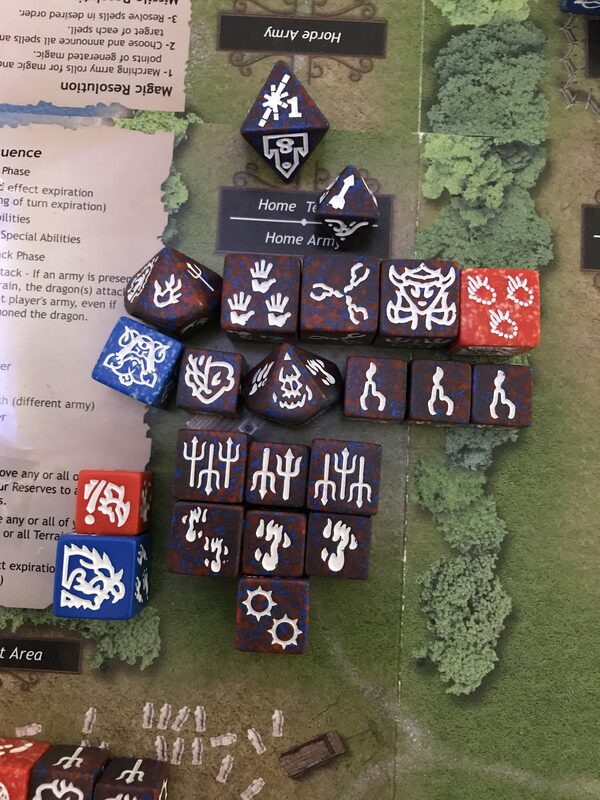 They generate 21 Firewalker results plus 3 more fire magic and 2 more air magic. 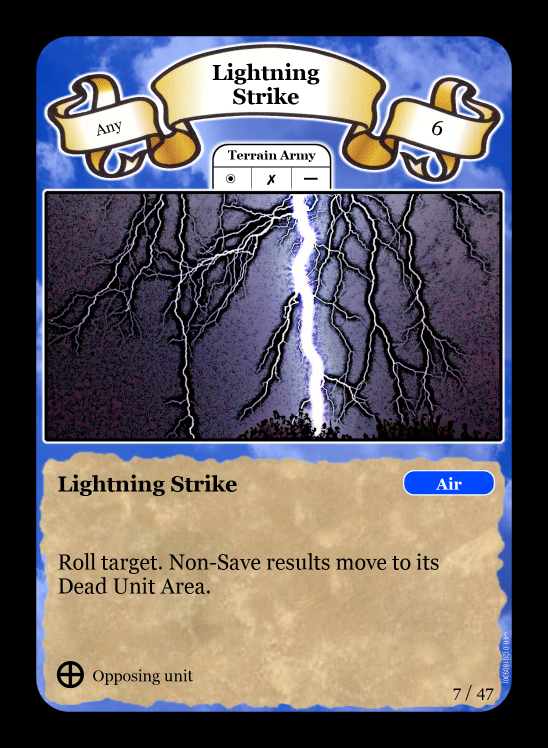 Three Lightning Strikes use up 18 air magic, and this leaves enough fire magic to summon a dragon. 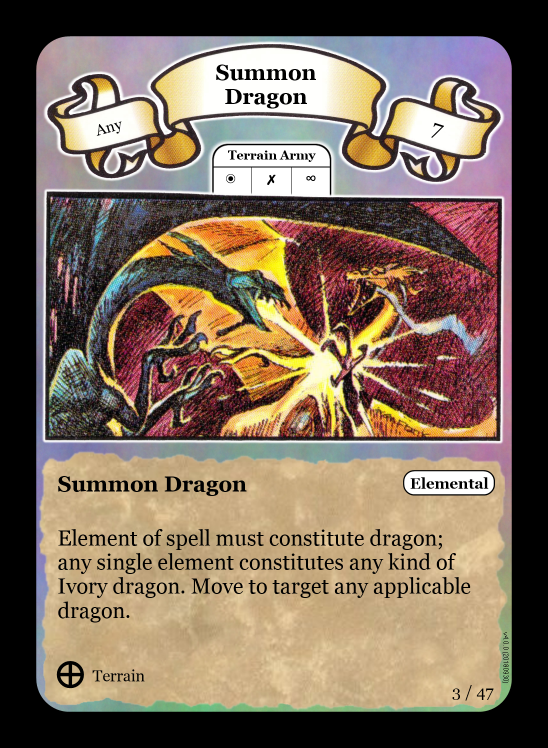 The wyrm is sent to the frontier. Two successful bolts send a Sharpshooter and an Archer to the DUA. 11 health each in the DUA now, but the Selumari are still looking in the better position. The Empyrean army stay at the home terrain, hoping for a chance to repeat the performance.